I think this will be my final knitting finish for 2014. I added the little I-cord binding and ties along the bottom edge of Merriment and it’s done. 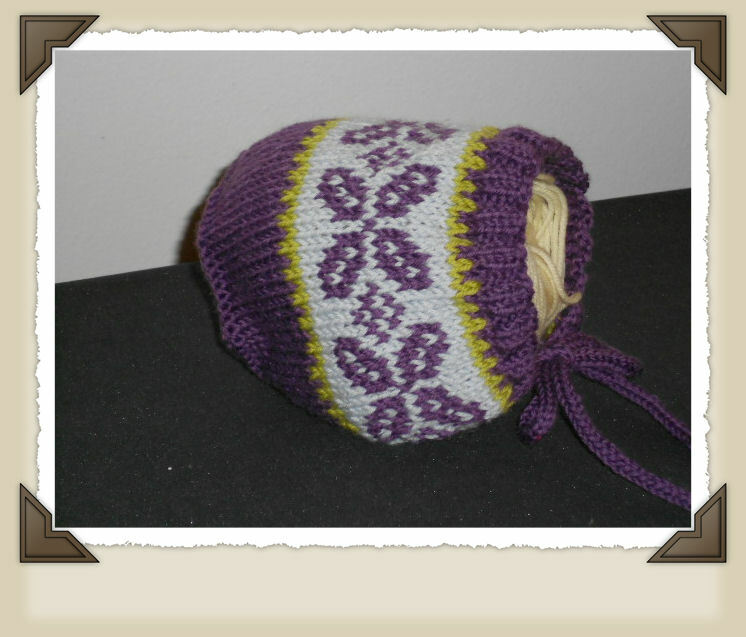 I didn’t have a little noggin to put it on so a ball of yarn had to do for modeling. 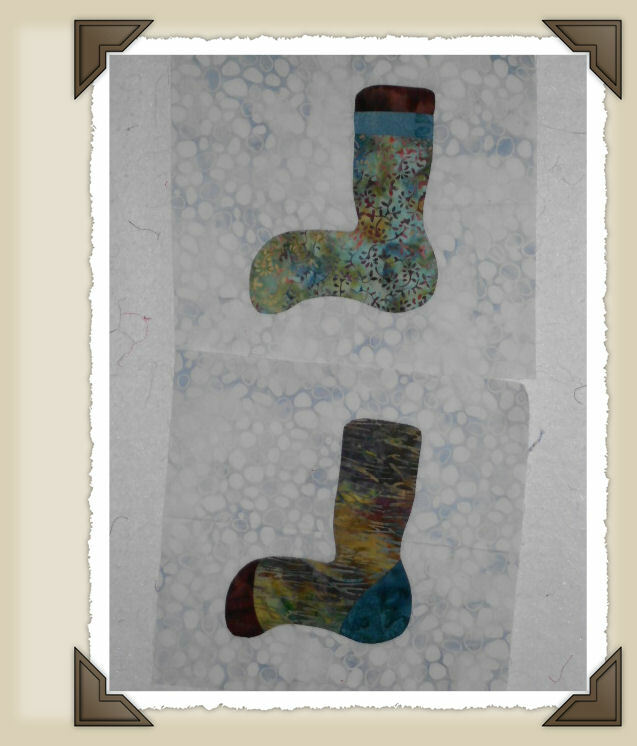 I also finally appliqued last night two of the sock blocks from The Knitter’s Gifts BOM that have been pinned and waiting for months to be stitched. 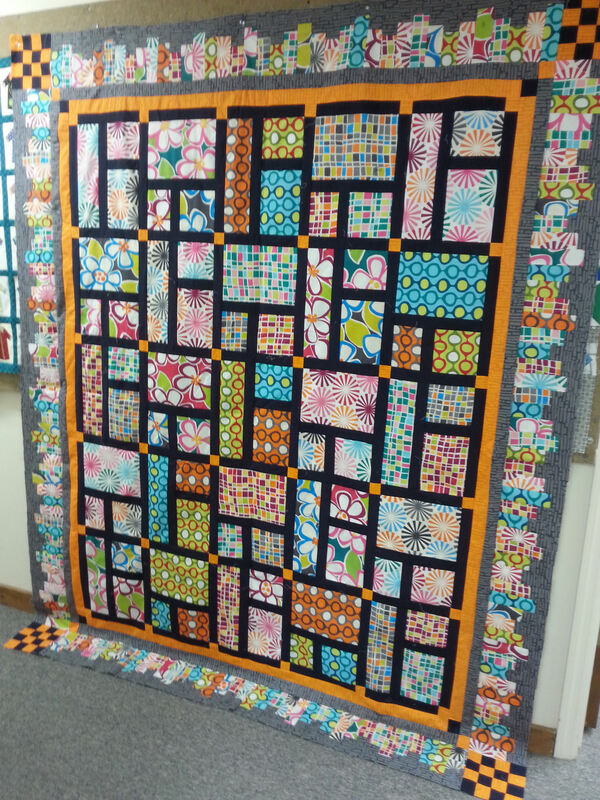 M. Cardwell shared this photo of her project using my Mix ‘N Match pattern that was done as a Labor Day sew along. She made it larger adding an extra block o each row and an extra row in length and set all the blocks in each row in the same direction rather than alternating as the original pattern did and it turned out stunning! Aren’t those fabrics gorgeous?! Such a fun look. Check out my Flickr group (link in sidebar) to see more of my patterns made by quilters from all over.